Dr. Robert Fraley, a top researcher at Monsanto, was recently quoted in a Nebraska Radio Network article, stating that he believed that those opposing GMOs are extreme voices and that most people are in the middle. 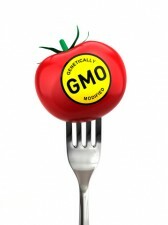 Dr. Fraley, who is often referred to as the father of agricultural biotechnology, according to the environmental editor at National Geographic, Dennis Dimick, estimates that 70 to 80 percent of Americans believe GMOs are safe. While this sounds like great news, it is important to note that this information is not coming from a study or survey, but instead seems to be based on Dr. Fraley s own experiences speaking to audiences. Hopefully Dr. Fraley s estimates aren t too far from the truth, as the latest issue of National Geographic brings to attention the looming problem of feeding a population of 9 billion people the world s population reliably predicted for 2050 a 35 percent increase from today s population. The NatGeo s Dimick also expresses his support for GMOs: In a world where we need to improve productivity, things like drought, salt and heat tolerant crops are so important and should be allowed to happen, even if they do involve the use of genetic engineering. The National Geographic article estimates that crop production will need to double to feed a population of 9 billion. This is a challenge that would prove impossible without the use of life-saving biotechnology. For more information on how genetically modified farming can feed a hungry world, check out ACSH s publications on agricultural biotechnology here.